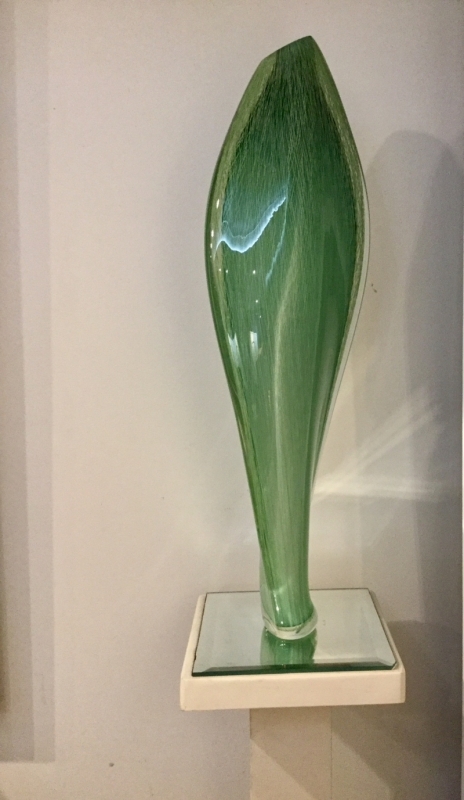 Brisbane glass artist Joanna Bone is a graduate of the prestigious Royal College of Art in London and winner of Australia’s respected Ranamok national glass prize. She is inspired by the exquisite patterns and colour flourished by the reptiles, insects and marine life of Queensland’s natural environment. The translucency, colour and optical characteristics of glass are reminiscent of the marine environment and draw the viewer’s eye, inviting intense visual exploration of the depths, layers and intensity of the objects. Created as unique one-off pieces or small runs of limited numbers, her work can be found internationally in private and public collections.